A village grew up in what came to be known as the Georgia Road, when a farmer from Laurens District, Peter Simpson, set up a blacksmith shop in the 1830s, the name Simpsonville arose. A high school and several cotton gins sprout in the 1880s. Soon after incorporation in 1901, the town persuaded entrepreneurs to build the Simpsonville Cotton Mill, which remained the largest employer for decades. What spurred Simpsonville’s present growth was the arrival of the major water main and the widening of Highway 276 in the 1950s. 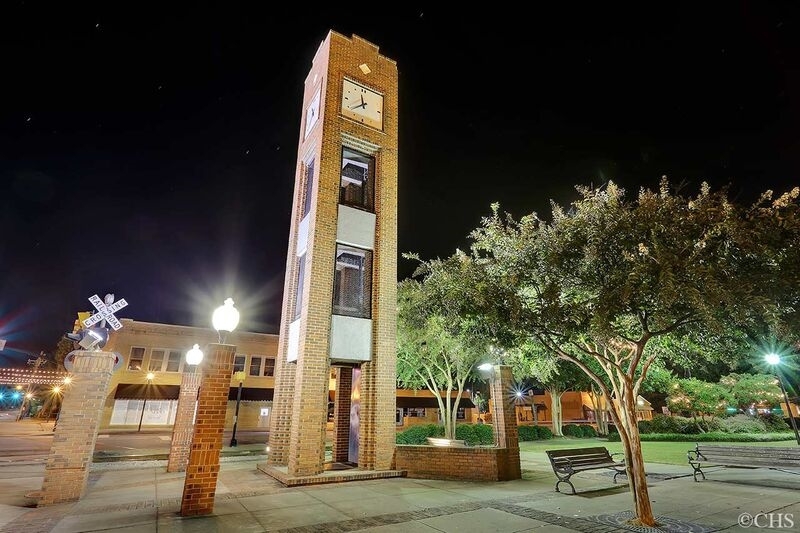 Simpsonville, SC is a small thriving city located just 15 miles south of Greenville. The city is located between Mauldin, South Carolina and Fountain Inn along Highway 14 and Interstate 385. It is conveniently located to I-85. Atlanta, Charlotte and the Appalachian Mountains, and the beaches in the South are just few hours-drive away. Known as part of the “Golden Strip”, businesses and enterprises make their home in Simpsonville, SC. There is a relatively low unemployment rate in the city. Job opportunities are ever present, in fact Simpsonville residents supply the major work force in big companies like BMW, GE, Michelin, and Fluor. Simpsonville offers many community amenities that enhance the quality of life. There are many opportunities for all to become involved in the community as well as pursuing their interests. There are many organizations and groups for all ages that help residents become socially active. You can find many facilities and services in Simpsonville, SC including top notch health care centers like Hillcrest Memorial Hospital, excellent team of emergency responders both in fire and police departments ensuring a safe and peaceful community for all. It offers great shopping, movie theaters, excellent dining restaurants, parks, golf courses and country clubs to residents of Simpsonville SC real estate. There is no shortage of things residents can do in their leisure time. It has all of the attractions and amenities that the larger city provides while still keeping the charms of a slower pace small town. Real Estate in Simpsonville, SC is one of the fastest growing in Greenville County. With so many communities developing in the area, it has the highest number of new construction homes for sale in the greater Greenville area. Simpsonville’s real estate market continues to expand and offers diversified properties for all looking to relocate or live in this quiet suburb. There are plenty of choices to consider when relocating or buying a home in Simpsonville, buyers can choose from single family homes, condos or townhomes, older established neighborhoods to new subdivisions. The median real estate price in Simpsonville is $192,402 (As of April 2015). The sales prices have appreciated 7.8% over the last 5 years. The average listing price for Simpsonville homes for sale was $298,450. Didn’t find what you’re looking for? Check out all of Simpsonville SC Neighborhoods and Communities here. This page lists all Simpsonville, SC real estate and neighborhoods available on the market today. Simpsonville’s schools are part of Greenville 01 School District. It offers 11 primary and secondary schools. One of the best schools are Oakview Elementary and Monarch Elementary which has a rating of 10. If you are looking primarily for homes that are assigned to top rated schools in Simpsonville SC. Check the list below and click the link to view homes assigned to the following schools.